If you want discounted soccer shorts for men, women, or children, you’ve come to the right place. soccerloco has an expansive selection of comfortable, moisture wicking shorts at the lowest prices on the web. These discounted shorts are great for practices, games, and lounging around the house. 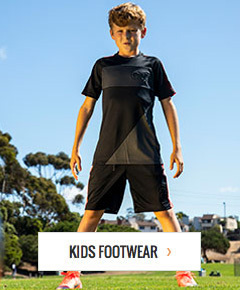 As your go-to online destination for high-quality soccer apparel, equipment, cleats, and more, we make sure all of our clearance soccer shorts are built to last, so you have comfortable shorts you can wear for many seasons to come. We have shorts in a variety of colors and styles, so you’re sure to find something to match your kit. Along with shorts at marked down prices, we offer flat rate shipping on all qualifying orders plus easy shipping and returns, so you know you won’t have to pay extra for great soccer shorts. Shop soccerloco's discount soccer shorts today to find the pair that’s right for you.